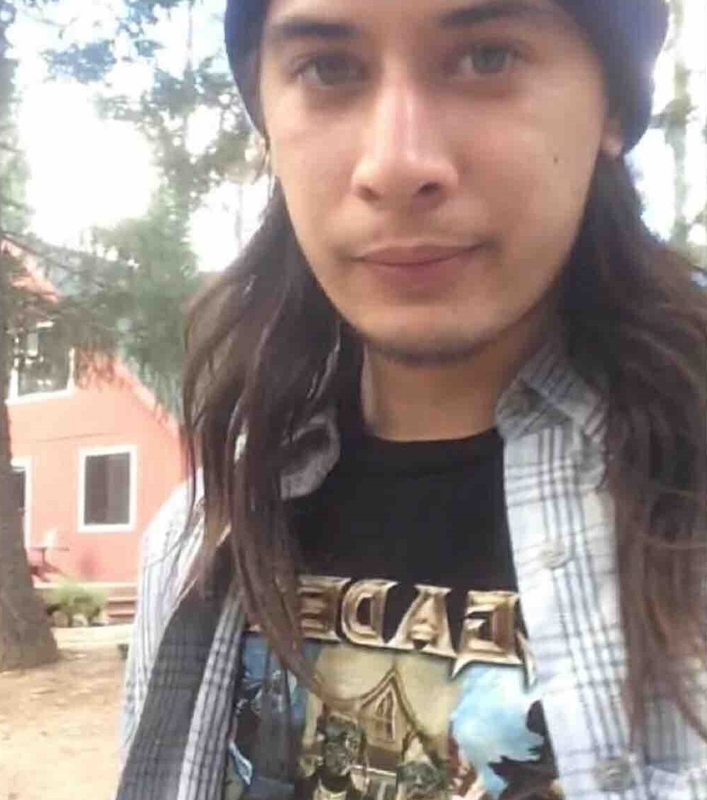 HACIENDA HEIGHTS >> Authorities have identified a 25-year-old Hacienda Heights man who was fatally struck by a car while skateboarding on Friday afternoon. James Andrew Johnson died in the collision, which took place just after 12:10 p.m. in the intersection of Haliburton Road and Hacienda Boulevard, Los Angeles County Department of Medical Examiner-Coroner Capt. John Kades said. An autopsy found that Johnson died from “multiple traumatic injuries” and the death was ruled accidental, he said. Johnson was riding a skateboard west along the south sidewalk of Haliburton Road just prior to the collision, Officer T. Zaspal of the CHP’s Santa Fe Springs-area office said in a written statement. A 22-year-old Arcadia woman was driving a 2013 Hyundai Elantra northbound along Hacienda Boulevard. Paramedics pronounced Johnson dead at the scene, officials said. The woman at the wheel of the Hyundai was unhurt. The cause and circumstances of the collision remain under investigation. Anyone with information was asked to contact Officer Campbell of the CHP’s Santa Fe Springs-area office at 562-868-0503. Fund to help Johnson family are being collected online at www.gofundme.com/369nh3s. LA HABRA >> Police are seeking a man who sat down for dinner at a La Habra sandwich shop, then stole the business’ cash register as he left. The crime took place about 9:40 p.m. on Thursday at a Subway sandwich shop at 1201 E. La Habra Blvd., La Habra police Sgt. Jeff Baylos said. Police said the robber ordered food and sat down to eat it before the robbery. He then grabbed the entire cash register from the counter as he left, Baylos sad. An employee struggled with the robber over the register, but the thief managed to get it outside and into a black BMW, which he fled in. The register contained about $300. A detailed suspect description was not available. Anyone with information can reach La Habra police at 562-383-4300. Tips may also be submitted anonymously to Orange County Crime Stoppers at 855-847-6227. LA HABRA >> Police jailed a man late Friday on suspicion of robbing a La Habra tobacco shop, as well as another armed heist at a La Habra market the day before, authorities said. Richard James Bustillos, 55, of La Habra was booked on suspicion of robbery minutes after Friday’s 6:30 p.m. robbery at a smoke shop in the 900 block of North Harbor Boulevard, according to La Habra police and Orange County booking records. After holding up the clerk at gunpoint and fleeing with cash, a responding La Habra police officer spotted Bustillos, who matched the description of the robber, in the area and detained him, La Habra police Sgt. Jeff Baylos said. Police recovered a loaded handgun from the suspect, later identified as Bustillos, and arrested him in connection with the robbery. Further investigation indicated Bustillos was likely the same gunman who carried out another robbery about 5:40 p.m. on Thursday at a market at the corner of La Habra Boulevard and Cypress Street, Baylos said. In that case, “The robber produced a handgun to the store clerk and demanded money,” police said in a written statement. The gunman made off with about $200, police said. “Evidence” related to Thursday’s robbery was recovered from Bustillos during his arrest Friday, Baylos said. According to county booking records, Bustillos was being held in lieu of $500,000 bail pending his initial court appearance, scheduled Wednesday in the Central Jail branch of Orange County Superior Court. 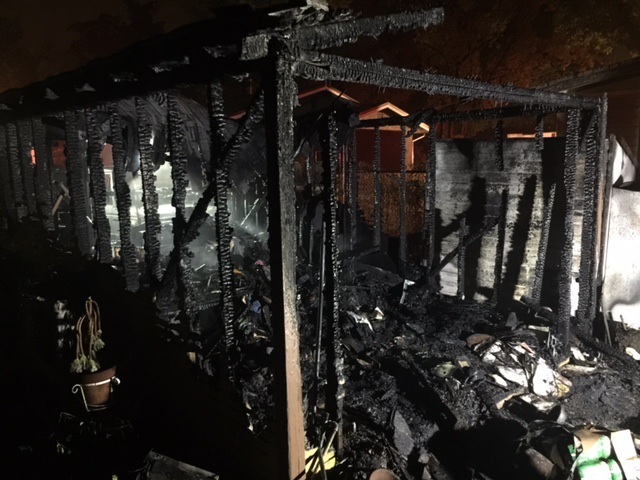 PASADENA >> An early-morning fire destroyed a residential garage in Pasadena on Saturday, causing an estimated $100,000 worth of damage but resulting in no injuries, officials said. The fire was first reported at 3:30 a.m. in the 1800 block of North Madison Avenue, according to Pasadena Fire Department spokeswoman Lisa Derderian. Firefighters “aggressively” attacked the flames and declared the fire extinguished 20 minutes after arrival, she said. Officials estimated the fire caused $70,000 in damage to the garage, and another $30,000 worth of damage to items stored inside. GLENDORA >> A masked gunman robbed a CVS Pharmacy in Glendora early Saturday, police said. The crime unfolded about 7:50 a.m. at the pharmacy at 435 E. Arrow Highway, Glendora police Lt. Rob Lamborghini said. A man entered the store disguised with a hooded sweatshirt, a hat, sunglasses and a surgical mask. He stood about 5 feet 8 inches tall. He brandished a handgun as he demanded money from an employee, ultimately obtaining several hundred dollars, according to the lieutenant. The robber was last seen running toward the side of the business, Lamborghini said. Detectives were working to obtain surveillance camera footage of the crime to examine for clues. Anyone with information can reach the Glendora Police Department at 626-914-8250. Tips may also be submitted anonymously to L.A. Regional Crime Stoppers at 800-222-8477. HACIENDA HEIGHTS >> A skateboarder died after being struck by a car in Hacienda Heights on Friday afternoon, officials said. The collision was first reported at 12:13 p.m. at Halliburton Road and Hacienda Boulevard, according to California Highway Patrol logs. The victim, a man estimated to be in his 20s, was pronounced dead at the scene, Los Angeles County fire officials said. ALHAMBRA >> Reports of an unconscious man inside a car with a handgun in the parking lot of an Alhambra shopping center drew a SWAT team response Friday morning before police determined the “gun” was actually a pistol-shaped cellphone case, officials said. Witnesses first reported seeing the man about 10:50 a.m. in a parking lot of a shopping center at the southeast corner of Fremont and Commonwealth avenues, Alhambra police Assistant Chief Elliot Kase said. Officers headed to the scene to assess the situation, he said. The man appeared to briefly wake up shortly before 1 p.m., and was seen moving inside the vehicle, before apparently falling back asleep, Kase said. Police were in contact with the man’s family. Nearby stores such as Albertsons, Toys”R” Us and PetSmart were place on lockdown as the incident continued unfolding, Kase said. Police used air horns and sirens in an attempt to rouse the man, to no effect, Sgt. Jerry Johnson said. A sheriff’s SWAT team was summoned to take over the scene shortly after 2 p.m.
Nearly an hour later, SWAT deputies approached the parked SUV, Johnson said. As the neared the vehicle, there were able to wake the driver and get his attention, according to the sergeant. He obeyed police orders to exit the car with his hands up and was briefly detained, Johnson said. 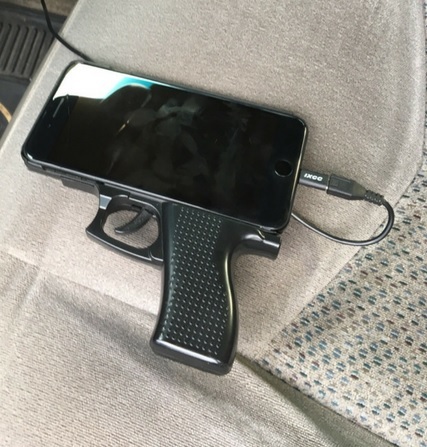 Officials then determined the reported handgun in his SUV was actually a cellphone case shaped to look like a handgun, Johnson said. It appeared the man was simply very tired after working a night shift, he added. Police determined no crime had been committed, and no arrest was made. MONROVIA >> A man is recovering from gunshot wounds to both legs following a drive-by shooting in a residential Monrovia neighborhood early Wednesday, police said Friday. The shooting took place just before 1:20 a.m. in the 1300 block of South Alta Vista Avenue, Monrovia police Sgt. Sarah Covarrubias said. Police responded to numerous reports of gunfire heard in the area when they encountered the victim, a man in his 30s, suffering from “multiple gunshot wounds to both legs,” the sergeant said. The injuries were not life-threatening. The shots were believed to have been fired from a passing vehicle, she said. No suspect description was available, and the motive in the shooting remained under investigation. Anyone with information was urged to contact Monrovia police at 626-256-8000. Tips may also be submitted anonymously to L.A. Regional Crime Stoppers at 800-222-8477. AZUSA >> A 6-year-old boy clung to life at a hospital in “critical-but-stable” condition after being struck by a car while crossing the street with his mother late Thursday, police said. The incident took place just after 7:40 p.m. in the 700 block of North Vernon Avenue, according to Azusa police Sgt. Robert Landeros. The boy suffered serious injuries, including serious head trauma, officials said. Paramedics rushed the young patient by helicopter to Los Angeles County-USC Medical Center for treatment. The man at the wheel of the involved pickup truck cooperated with investigators, officials said. Intoxicated driving was not suspected to be a factor. No further details were available Friday morning. Anyone with information can reach Azusa police at 626-812-3200. DIAMOND BAR >> A man died early Friday in a crash between a pickup truck and a car on the 60 Freeway in Diamond Bar, authorities said. The driver of the truck, described by the CHP as a 57-year-old Hesperia man, as well as a 32-year-old man riding as a passenger, suffered minor injuries but declined to be taken to hospitals, officials said. Coroner’s records indicated the car was rear-ended by the pickup truck at high speed, Winter said. The 1997 Ford F-150 pickup truck was traveling at about 65 mph when it crashed into the rear of Fuentes’ 2007 Honda Civic, which was traveling ahead at a slower speed, CHP officials said in a written statement.